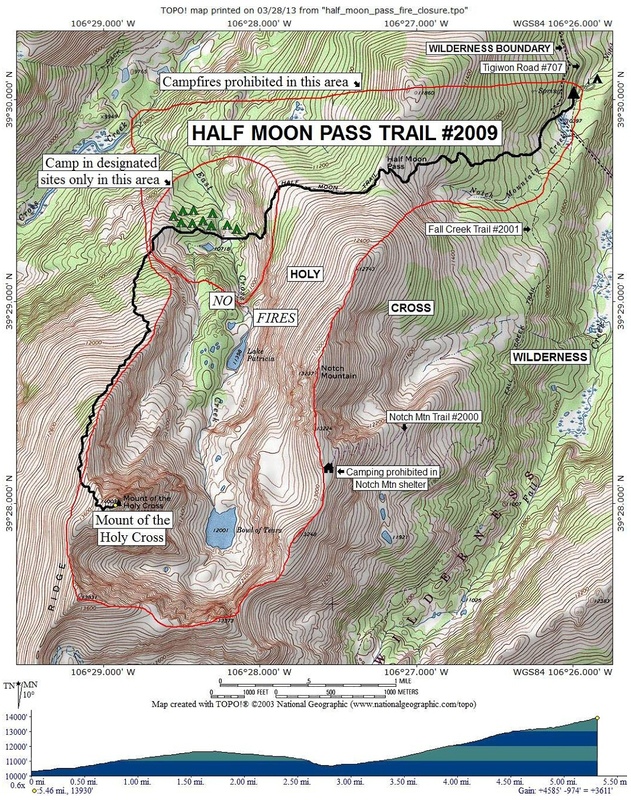 Topographic map showing the Half Moon Trail. 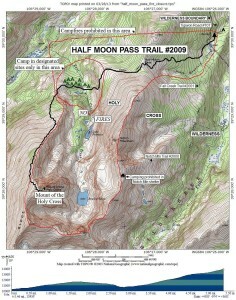 The Half Moon Trail is located in the Holy Cross wilderness area and ascends to the top of fourteener Mt. Holy Cross. This map is provided courtesy of the U.S. Forest Service.